The Military Guns Australia website is provided as a resource for collectors of military firearms, specifically rifles. It is not intended to be a complte history, it is simply a service provided by a collector for other collectors. I have concentrated mostly on the kinds of rifles that I deal in on a daily basis. 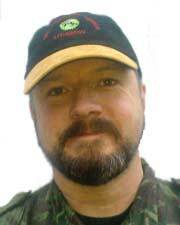 I am the webmaster of Military Guns Australia, Michael King and I am particularly interested in the history of the Short Magazine Lee Enfield (SMLE) having worked at both the Small Arms Factory at Lithgow and the Royal Small Arms Factory, Enfield Lock, UK. I began my lifelong interest in target shooting and hunting when I was 4 years old. I began collecting firearms upon receiving my first rifle from my father for my 9th birthday. 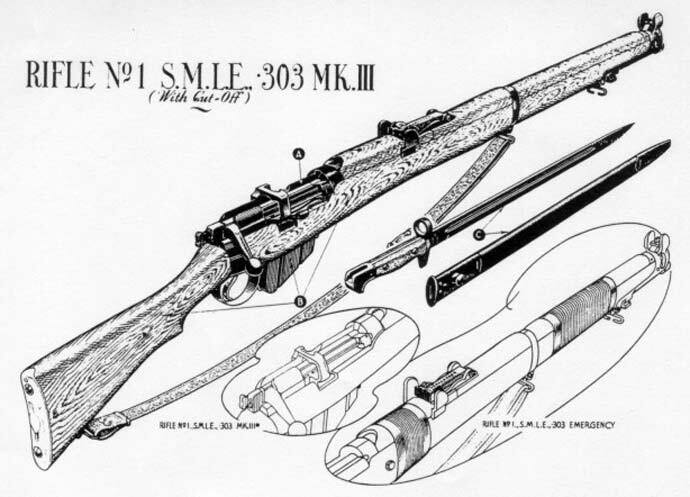 My father worked at the Small Arms Factory (SAF) at Lithgow for 46 years, more than 10 of those years as the head foreman in charge of rifle assembly and reconditioning (FTR). When I was 6 years of age my father took me into the SAF Museum and I was hooked on historical firearms from then on. I am fascinated by the living history aspect of historical firearms, not to glorify war but rather as a reminder of the sacrifices made and also of what not to do in future moments. Upon leaving school when I was 16 I followed in his Fathers footsteps and commenced a Toolmaking apprenticeship at the Small Arms Factory which included extensive training in all aspects of gun manufacture, design, testing and troubleshhoting. In the 3rd year of my apprenticeship I also commenced training in Mechanical Engineering and I later worked for many years in process engineering. I worked on many commercial projects as well as on small arms research and development projects. I was also involved in troubleshooting rifle manufacturing processes. In 1983 after becoming the Department of Defence Support Apprentice of the Year I was sent to the UK for a year to work at the Royal Small Arms Factory on attachment. All in all I worked at the SAF for 15 years. For many years I also ran a PA business part time doing sound and lighting for bands. Since 1996 I have been running my own training consultancy business. As a respected public speaker, I regularly receive invitations to address large gatherings all over the world in the field of personal success. I also work within the business community, lecturing on ethical business strategies and purpose/service-oriented business visioning. Now I also own and operate The Kings Armoury, a firearms dealership located in Perth Western Australia specialising in antique, military and collectible firearms. Click here to visit my online catalog of collectable firearms for sale. Building a community of firearms enthusiasts to promote introduce people to becoming a student of arms. In correlating the data for this website many of my friends emailed me all kinds of information concerning their favourite rifles. I admit I have no idea where a lot if it has come from. I only asked for people to submit information that is in the public domain however if it turns out that anything on this website is indeed copyrighted I apologise. If you become aware of any copyrighted material on this website then please let me know. I will happily acknowledge the source and link to any websites involved and recommend texts etc. It is my hope that people will contribute to developing this website as a resource for collectors not only to network information but also to network to other sources for research. I would like to encourage people with information about the history, care, maintenance etc of military collectible firearms to contribute to building this website into an educational centre. With military surplus becoming a thing of the past and ignorant paranoid people screaming about gun control we need to get as much professionally presented information out there as possible to promote the enjoyable hobby of studying and preserving the living history of antique and military firearms.